Welcome to our project homepage. Charité Research Organisation GmbH (CRO). The long-term aim of the project is to establish bacteriophages as drugs in the fight against bacterial infections and as such gain legal authorisation as medicinal products in a variety of dosage forms for different indications (more on bacteriophages on our “background” page). A first step in this ambitious project is the development and production of an inhalable product made from bacteriophages against the bacterium Pseudomonas aeruginosa according to international quality standards for medicinal products. This product shall then be tested for safety and tolerance in pre-clinical and clinical trials. In 2015 the project partners designed a joint concept for this project and submitted it for a grant call of the BMBF at the end of 2016. The project was elected and is since September 2017 finally approved to go ahead. The four project partners will now work on the different aspects along the lines of their fields of expertise. 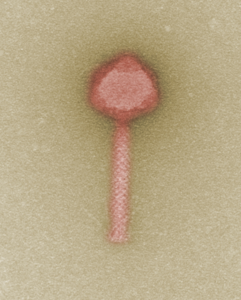 Initially, the working group of Dr. Rohde (DSMZ) will select suitable bacteriophages from her phage bank. Only those bacteriophages will be selected that can destroy a sizeable number of Pseudomonas aeruginosa taken from several clinics across Europe. The most promising candidates will then be genetically screened and handed over to Dr. Ziehr (Fraunhofer ITEM). Following that the working group of Dr. Ziehr will develop an inhalable drug that complies with international regulatory requirements for medicinal products (GMP). Planned is a platform-like production process – meaning a process that is transferable to other bacteriophages with only minor adaptations. The phages undergo large-scale augmentation, purification and ongoing extensive analysis. As soon as the product is available, it will be passed on to ITEM Hanover and the lab of Professor Dr. Witzenrath (Charité Berlin) for pre-clinical testing. The pharmacological safety studies according to GLP (Hannover) and testing for efficacy and immunogenicity (Berlin) will be carried out respectively. Simultaneous to the pre-clinical and clinical trials, ITEM will collect further stability data. Following the completion and evaluation of the pre-clinical studies and the required regulatory approval, the product will be tested the first time in humans at the research unit of Charité Research Organisation, where initially the safety and tolerability of single and multiple doses will be investigated in healthy volunteers. After the safety studies, another clinical study will be conducted to investigate the efficacy in patients suffering from chronic infection with Pseudomonas aeruginosa.